Working with leather is Michael's forte. He currently has about a dozen bags for sale in his shop but these two I love for their cool, rustic patina. 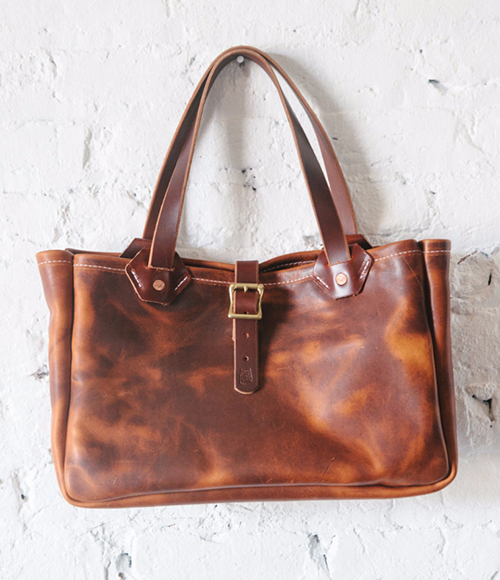 Each bag is made of Horween leather and stitched by hand. 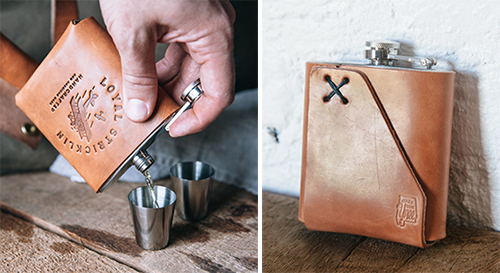 The latest creation, the Signature Whiskey Flask, is made of stainless steel and encased in four ounces of hand sewn American Harness leather. The set includes two shot glasses and a funnel and there are four color options for the leather as well. See the entire shop of quality, manly goods, here.